Prince or pauper: Who is the mysterious millionaire from Instagram? At the end of summer two similar characters appeared on Instagram: imposing gray-haired men, both wealthy, both happy-go-lucky, both spending their time traveling and partying in the company of beautiful women. 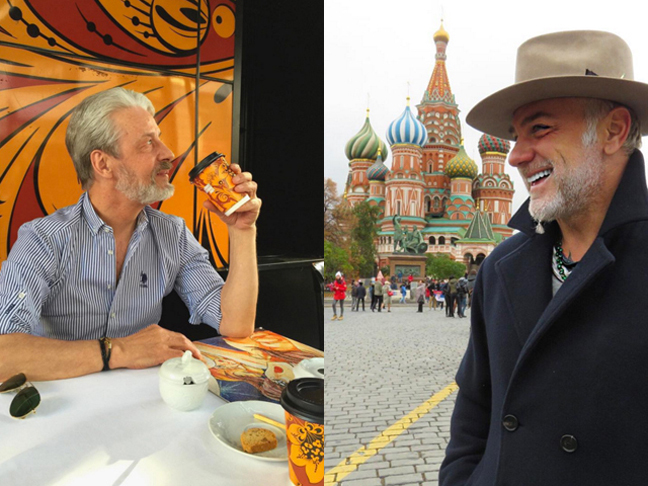 One is Italian Gianluca Vacchi, the other Russian Boris Bork. One of them does indeed live a fairytale life, the other is lying. This week Russian social media have seen heated debates about the fake account of "rich" Russian pensioner Boris Bork, when Moscow PR manager Roman Zaripov claimed that Boris Bork's Instagram was his project. In March 2016, Roman Zaripov and his friend decided to conduct an experiment: how much time and money does it take to create an Instagram superstar? Answer: 50,000 rubles and a lot of bother. Roman and Mikhail found their hero online — Boris Bork (the name is fictional), a 65-year-old pensioner from Moscow. He was "far from the rich-guy image," living only on his pension and renting a one-room flat on the outskirts of Moscow, but looked "cool," said Zaripov. Just a couple of hours after the first post on vk.com, Boris already had 2000 followers. When the number exceeded 8000, Boris was invited to a TV talk show on Russia’s Channel One to discuss his “happy old age,” and clothing brands began to offer parts in promo campaigns. Bork received direct proposals from businessmen, not to mention young women. Now the experiment is over. Roman decided it’s too costly to keep up the pretence and go on faking staged photos. Last updated 17 weeks ago, Bork's Instagram still attracts new followers — more than 18,000 at the most recent count.